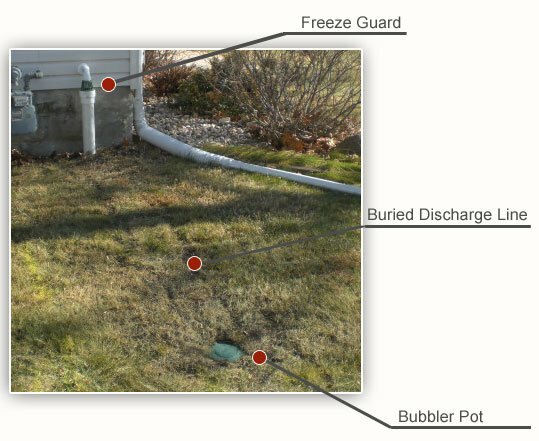 Rapid Foundation Repair in South Dakota and Wyoming offers surface drainage for your home. Rapid Foundation Repair can offer quality products from Earth Contact Products (ECP) for any and all of your basement drainage system needs. On the roof of a 2,000 square foot house, 1,250 gallons of water can fall during a one-inch rain. If your home is not protected with proper gutters, downspouts, or grading, some of this water can end up in the basement. In order to waterproof your foundation, you must first manage the source of the water. Runoff from rain is often the source of wet basements and foundation repairs. Some factors you can control, while others require a professional. Water needs to be moved at least ten feet away from the foundation to prevent wet basement or foundation repairs. Downspouts can also be directed to a catch basin or a drain pipe system. Water should be carried through a solid drain pipe to a dry well. In years past, dry wells were repurposed 55-gallon oil drums that eventually rusted and collapsed. Today, recycled plastic dry wells are simple to operate and they work efficiently to solve many drainage problems. Sump pump outlets are similar and need to have the water directed away from the foundation so that it will not have to be pumped out of the basement again. The discharge line must empty to a larger pipe as soon as possible so back pressure is not put on the sump pump. When soil areas are consistently wet, dry wells and catch basins can also be used. Buried dry wells give this collecting water a place to go and can even be used with a drain pipe system to move the water to drier areas. When you have all the prevention in place but still have water problems, we can help. Surface basement drainage systems are the single most important application of foundation waterproofing. The surface basement drainage portion of your waterproofing system needs to control the greatest amount of water. 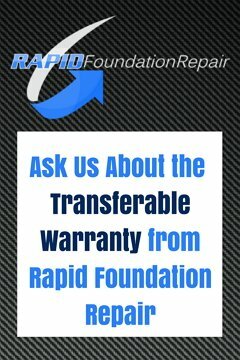 When you are looking for basement drainage in South Dakota or basement drainage in Wyoming, look to Rapid Foundation Repair for the expert service you expect. Call us today for your free estimate.